You’ve seen (and read about) the new TB Bag in all its full glory here, a structured flap bag available in either a Small or Medium size. But for those who want something a tad more casual but also part of the TB family? 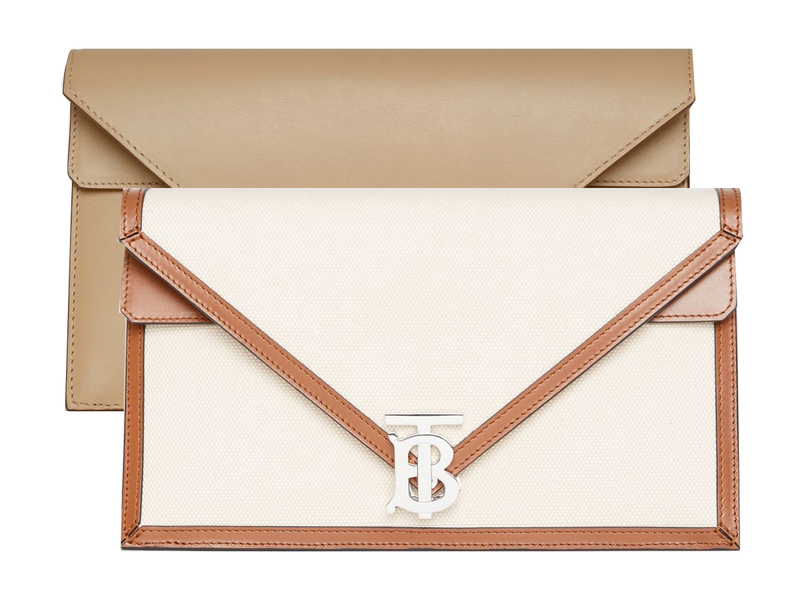 Well, there’s the Small TB Envelope Clutch, a style adapted from Burberry’s archives in the 1930s but fitted with the all-new TB Monogram clasp right at the tip of the triangular front flap for that chic yet modern touch. Meant to be carried in the hand or snuggled under the arm like a clutch, this particular piece is rather sizeable as well, measuring 26 cm across and 16 cm high, with a depth of 7.5 cm that’s roomy enough for all your daily essentials. There are two versions to keep an eye out for, a canvas/leather mix known as Natural (SGD2390), finished with lambskin lining and a silver TB Monogram clasp, as well as a full leather version (inside and out) in Honey which comes with a gold TB Monogram clasp and priced slightly higher at SGD2850. While Natural is available for orders online, Honey is only up for pre-orders, with an estimated shipping date of 19 April 2019. Alternatively, if you would like to see both versions of the Small TB Envelope Clutch up close in stores before committing to a purchase, you can always make a trip down to a Burberry boutique near you (ION Orchard, Marina Bay Sands or Paragon Shopping Centre) and have a look before you decide.